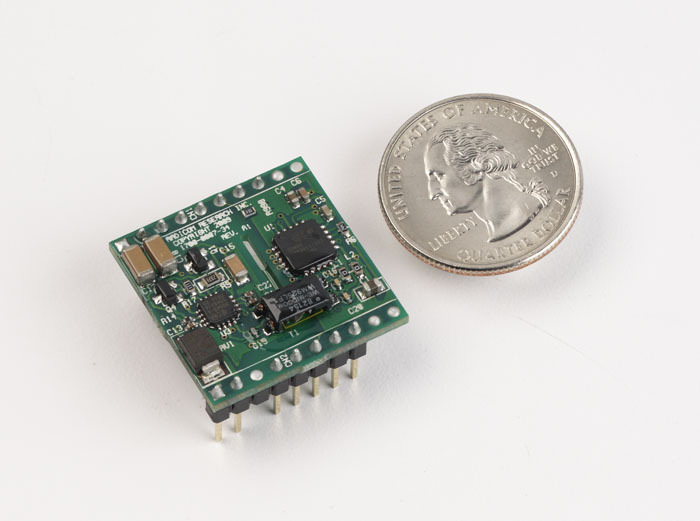 SAN JOSE, Calif. – June 15, 2010 – Radicom Research, Inc., a leading designer and manufacturer of dial-up and wireless RF modems for Embedded Applications, announces immediate availability of its V92HM4-RC Embedded Modem Module designed for Home and Business Security Alarm Systems. The self-contained dial-up modem module supports Ademco’s DTMF and SIA's FSK alarm protocol. Utilizing standard DTMF tones, via proper AT Commands, an alarm system with HM4 modem inside can transmit an emergency signal to a monitoring station, the station generates a Kiss-off tone telling the communicator the tone has been received. After the Kiss-off, the modem then restores the telephone line for standard voice communications. The V92HM4-RC provides an across the board compatibility of data communications between equipment designed to meet the “Contact ID” protocol regardless of manufacturers. The Contact ID is ideal for use in the home and business security devices that are required to report emergency and routine coded signals to a central location. This small form factor module is built for reliability, simple implementation and ease of integration for designers of security data communications networks. Measuring just 1.0” X 1.0” X 0.2”, the modem has a built-in data pump, modem controller and on-board International DAA. The modem features -40oC to +85oC operating temperature. Its cost-saving line-in-use feature eliminates the need for maintaining a dedicated phone line in many applications. The V92HM4-RC can be used for Medical Devices, Industrial Monitoring Systems, POS Terminals, Gaming Devices, Vending machines, Remote Monitoring and Data Collection Systems, Back-up communication systems or any small footprint device that needs to communicate data reliably with low power consumption. The V92HM4-RC is available now. Prices begin at US$39.00 each for quantity of 100 pcs, higher OEM volume discounts are available. Founded in 1993, Radicom Research is committed to developing reliable, high-quality, simple to implement dial-up and wireless modems, competitively priced for OEMs, designers and industrial customers. Headquartered in San Jose, California, with offshore manufacturing capabilities, Radicom’s OEM customers include Acer, Diebold, Hewlett-Packard, Siemens and Xerox. Radicom works closely with its customers to ensure their embedded data communications systems are successfully integrated at the lowest cost with the highest capability. Radicom modifies its award-winning modems to meet specific application requirements, and designs custom components to fit special needs, maintaining the fastest turn-around time in the industry. R&D efforts are focused on raising performance standards for small footprint data-communication components embedded in applications across a spectrum of industries. OEMs and designers are invited to contact Radicom Research for consultation on modems for embedded systems applications. Phone: 1-408-383-9006, ext. 112; Fax: 1-408-383-9007; Email: sales@radi.com; Website: www.radi.com.